Sometimes things are done best when they are done simple. This is how Lucy Noland takes on her job. With a simple approach, Lucy manages to make her work seem fresh and invites the audiences to listen to what she has to stay. Straightforward and outgoing, Lucy Noland has taken the world by storm. Her approach to her work has seen Lucy not only garner heaps of approvals from the audiences but has also won her many accolades. But it's not praise and awards that Lucy seeks or desires. Her main aim is to help the people in need through her work. 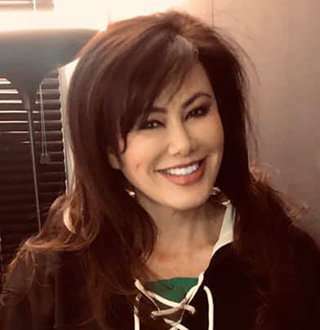 Lucy Noland, who stands at a decent height of 5’8”, was born on 11th April 1965 in Saigon, Vietnam but later moved to the United States with her parents as a result of an ongoing war in her home country. She grew up in Eugene, Oregan, USA. Her ethnicity is Vietnamese however her nationality is of both American and Vietnamese. Despite being a well-renowned personality, Lucy has always remained silent about her private life. Not much information has been disclosed. Information regarding her parents and her high school years have not been revealed by Lucy as of yet. But she has not been shy about expressing her love for her parents. A couple of Instagram posts show her spending quality time with her mother and her father. Seems she is maintaining a healthy balance between professional and private life. Lucy Noland has been working as an anchor for more than a decade. And it seems she has no plan in stopping any time soon. 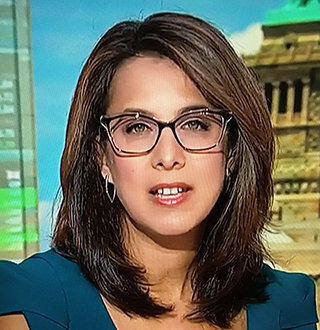 Her style of work has gained her a lot of attention and many awards which include Emmys, Golden Mics, Edward R. Murrow and AP Broadcasters awards. Today, she is one of the respected anchors in operation. She began her career an ABC affiliate in Alaska known as KATN-TV where she shot, wrote, edited and anchored a number of newscasts. After which she started work as a reporter and an anchor for KGO-TV before landing a job at Fox 29. But before her association with Fox 29, she worked as an anchor for KNBC in Los Angeles from 2007 until 2011. She joined Fox 29 in June 2014 where she has been working as a co-anchor for Fox 29 News at 5, Fox 29 News at 6 and Fox 29 News at 10. Lucy Noland & Her Unspoken Love Life. Wedding Anytime Soon? A prominent figure in the world of news reporting, Lucy remains a constant figure under the spotlight, which is why her fans want to know more about her life especially her love life. But for Lucy, she chooses to focus on her professional life much more than her private life. Whether or not Lucy is married and has a husband remains a mystery as she has never disclosed that information to the public. But she has mentioned that she is a proud mother to three kids. The identity of the father remains undisclosed. Only time will tell if Lucy ever decides to disclose any information regarding her love life fully.